Hangzhou, the capital city of Zhejiang, is located in northern Zhejiang Province, near the lower reaches of Qiantang River and the southern end of the Beijing-Hangzhou Grand Canal. Consisting of five urban districts and seven suburban areas, the combined area of Hangzhou is 16,600 square kilometers. Hangzhou was first established as Qiantang County during the Qin Dynasty in the 3rd century B.C. By the 10 century, it was the capital of Wu and Yue and later became the temporary capital of the Southern Song Dynasty (1127-1279). 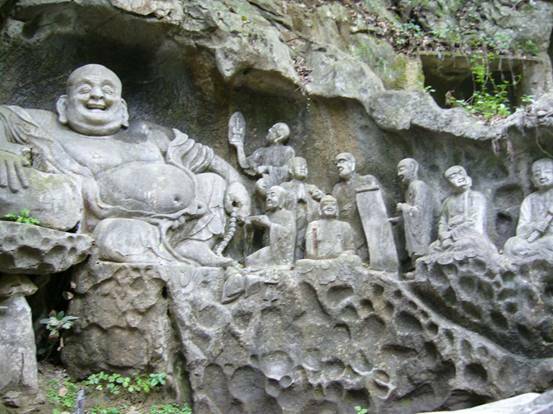 Ancient Hangzhou has enjoyed great praise for centuries. It has been known as the Land of Silk, and There is heaven above and Suzhou and Hangzhou below goes the oft-repeated saying. Today, Hangzhou is one of the most important historical and cultural cities designated by the Chinese government. To the east of Hangzhou is a booming modern metropolis. To the west are old palaces, temples, exquisite gardens and rolling hills covered by many of the finest tea plantations in China. 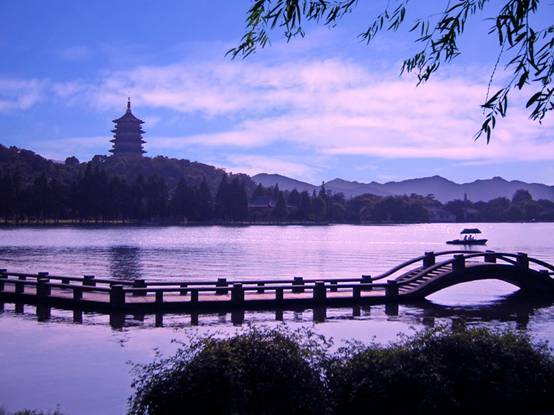 Its chief attraction is the West Lake and some 40 scenic spots scattered around this mountain and lake area. The Pagoda of Six Harmonies, the Tomb of Yue Fei, the statues of the Flown Over Peak, Lingyin Temple (Temple of the Souls Retreat) are the most famous sights in Hangzhou. 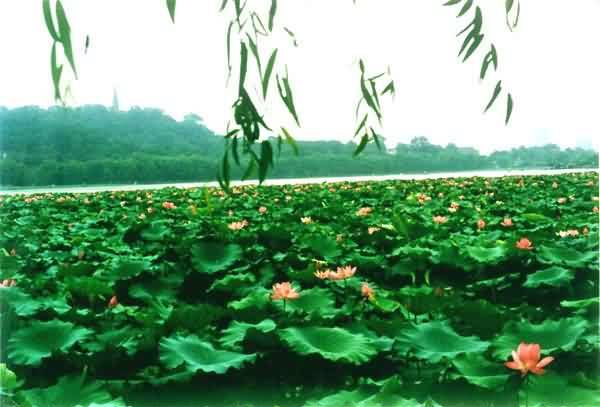 West Lake is large freshwater lake, bordered on three sides by hills. Its banks and islands are blanketed wit h small gardens and temples. It made Hangzhou City a very beautiful place to live in China. As an old Chinese saying declares, in heaven there is paradise, on earth Suzhou and Hangzhou. The famous western traveler Marco Polo considered it as the most enchanting city in the world at his time. 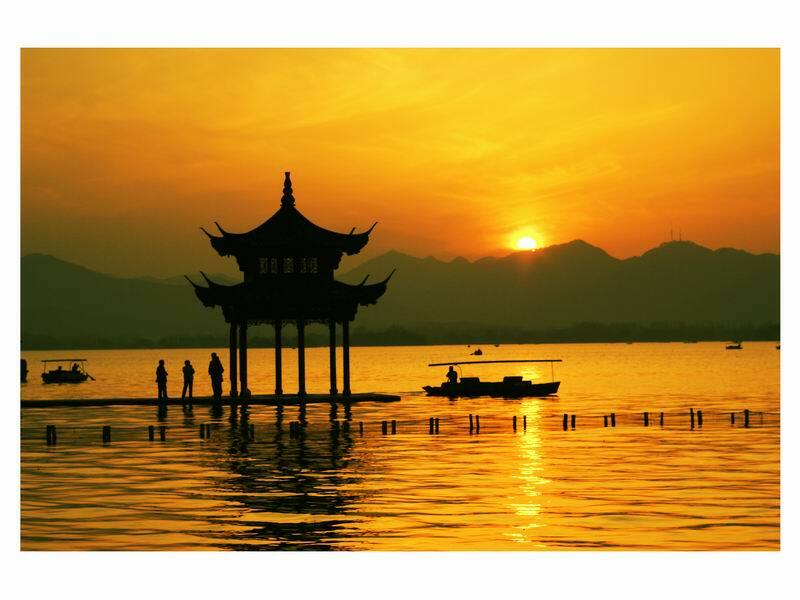 West Lake is the symbol of Hangzhou, which is like a shining pearl inlaid on the vast territory of China. It was originally a lagoon adjoining the Qiantang River. As early as Tang Dynasty (618 ? 907 A. D.), work was taking place to control waters of the lake with dykes and locks. The two causeways, the Baidi and the Sudi, split the lake into sections. As the largest and most resplendent temple in Hangzhou, Lingying Temple is one of the most prestigious Buddhist monasteries in China. The name of Lingyin Temple or Souls Retreat Temple comes naturally from its quiet surroundings. With deeply forested hills on three sides, the temple is really a hideaway. The temple was built in 326 A.D. at the foot of Lingyin Mountain. Due to war and calamity, it has been destroyed and rebuilt no fewer than 16 times. The Great Hall, 33.6 meters high, is one of Chinas tallest one-story buildings, further distinguished by double eaves. A statue of Sakyamuni, carved out of 24 blocks of camphor wood, stands 19.6 meters high in the main hall. The foremost temple houses a laughing Buddha carved in camphor wood and covered in gold; there is a carved gilt figure standing behind as a guard. Both figures are set under a double-eave wooden canopy decorated in red and gold. Ornate lamps hang on either side. In front of the hall are two stone pagodas built during the Five Dynasties (907-960). It is one of Hangzhous big draws. 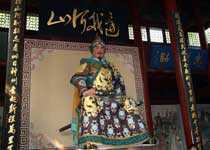 The twelfth-century Song general, Yuefei is considered a hero in modern China thanks to his unquestioning patriotism. Having emerged victorious from a war against nomadic invaders from the north, he was falsely charged with treachery by a jealous prime minister - Qinhui, found guilty and executed at the age of 39. However, twenty years after his death, the next emperor annulled all charges against him and had him reburied here with full honors. People often come to show respects to this heroic martyr. In the two side halls of the temple are 120 tablets; the tablets are engraved with Yue Feis poems as well as eulogies to him by noted figures. Built in the year of 970 A.D., Liuhe Pagoda stands majestically on the Yuelun Mountain overlooking the Qiantang River. A 60m, impressive octagonal structure of wood and brick, hung with 104 large iron bells on its flying eaves, the tower was originally built to ward off the spirit responsible for the heavy tides which caused so much flooding before the dykes were constructed. 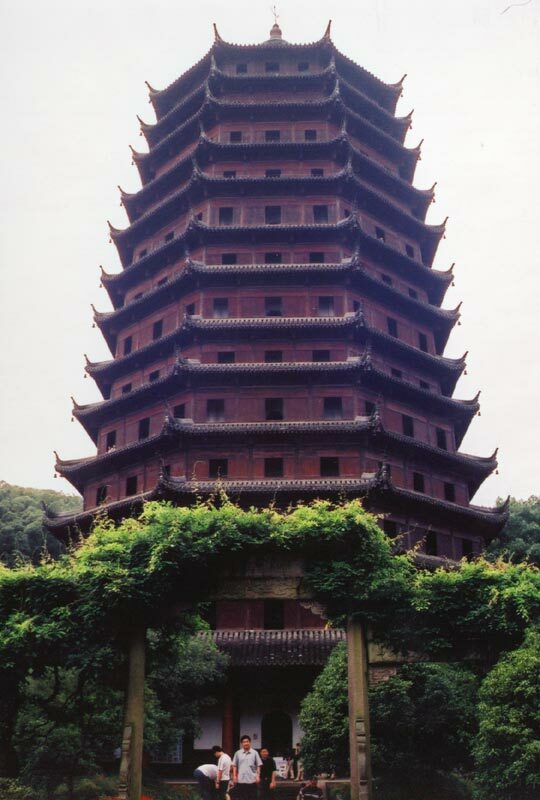 An octagon shape supported by 24 pillars, the pagoda has 13 upturned eaves, which become progressively narrower toward the top. Contributing to the pleasing contour of the structure, a spiral staircase leads to the top of the seven-storey pagoda, the ceiling of each storey carved and painted with figurines, flowers, birds and animals whose colors are fresh and refined. 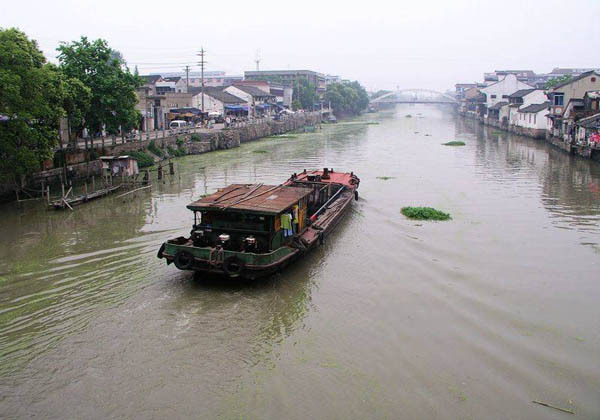 Chinas only waterway running from north to south is 1,794-km-long Beijing / Hangzhou Canal. It is 10 times the length of Suez Canal (172.5 km in length, built in 1869) and 20 times that of the Panama Canal (81.3 km in length, built in 1914). Although the Grand Canal is not so imposing and famous as the Great Wall, it embodies the superb wisdom of the Chinese people. It is a type of stewed pork named after its creator, the 11th century master poet Su Dong-po (also known as Su Shi) who referred to himself as the old gourmand. 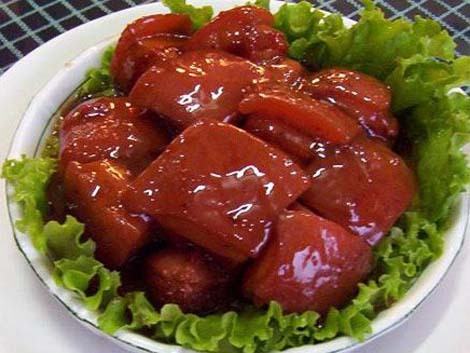 Chunks of fatty pork are steamed in a sauce of rice wine, soy sauce and sugar for several hours to deep reddish brown, richly flavored and melt-in-the-mouth tender. 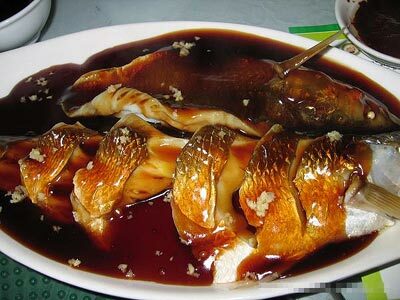 A fresh grass carp is cut in half from head to tail, delicately poached for three minutes and then poured over with sugar and vinegar sauce. The fish tastes delicious with a taste similar to crab. A chicken is crammed with fried pork and wrapped with lotus leaves, and then roasted in a whole chicken in a ball of mud. This dish is tender, fresh, juicy, crisp, tasty and full of the fragrance of lotus. Another of Hangzhous famed products is tea, particularly chrysanthemum tea and legendary Dragon Well, or longjing tea, considered the finest green tea grown in this country. An enjoyably different way to savor this tea is in the Hangzhou specialty longjing xiaren, or shrimp stir-fried with Dragon Well tea. Fresh, plump shrimp are shelled, stir-fried and then coated in a light, translucent sauce highlighted by leaves of the precious tea that imbue the whole dish with subtle flavor and fragrance. One of Chinas most dynamic cities, Hangzhou is a pearl in the Yangtze River Delta. 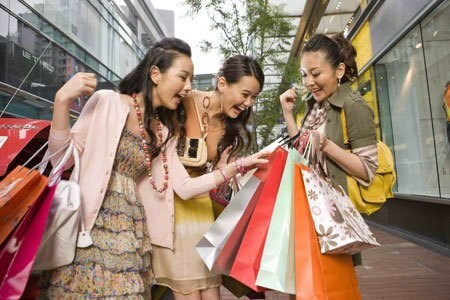 Shopping in Hangzhou is no longer limited to local specialties such as silk, tea, and lotus root starch. Today modern offerings abound in various shops, stores, supermarkets, and plazas that crowd the commercial center. Hangzhou is well known for producing excellent silks, including satins. Throughout its long history, a variety of Hangzhou silks and satins have been sold throughout the world. The best place for purchasing silk in Hangzhou is at Hangzhou Silk City, the biggest silk wholesale and retail market in China with more than 600 silk enterprises dealing in a wide variety of pure silk fabrics, garments, handicraft articles, scarves, and ties. The shoppers there not only do business on the mainland, but also export their silk products to Europe, America, Australia, Hong Kong, Macau, and Taiwan. 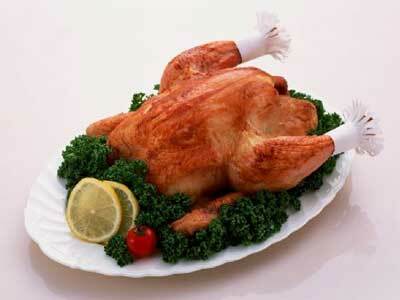 The market is distinguished as offering standardized management, reliable quality, and reasonable prices. It is located at No.253 Xinhua Road (at the intersection of Fengqi Road, Tiyuchang Road, and Xinhua Road) You can get to the site by bus No.11 and 28. Hangzhou Longjing Tea (Dragon Well Tea) is considered Chinas best. It is not only famous for its unique green color, fragrant aroma, sweet taste, and flat appearance, but is also regarded as a health elixir. The tea falls into different grades; the best is the first pick of a year, normally in late March or early April. 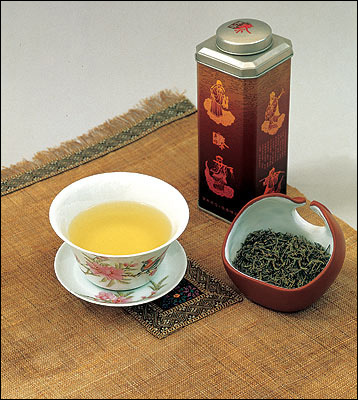 Besides its good quality, Longjing Tea also enjoys a famous long history. If you are interested in tea culture and history, Meijiawu Village in West Lake District is the ideal spot where you can have a cup of tea, watch a tea ceremony, and select tea under professional guidance.